A) Wooden, well polished, open or closed. B) Wooden, well polished open type with graduated sliding rod. 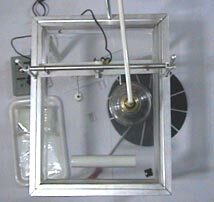 Comprises glass tube , mounted on retort stand with clamp and boss ; with 500 ml glass tube, connecting tubing and spring clip supported on split iron ring . Comprising of two glass tubes, one 300 x 32 mm and other 300 x 25 mm. The smaller tube slides inside the wider tube in foam plastic collars, allowing the air column length to be varied from 300 to 530 mm. Wooden, fitted with holders for tuning forks. For 1 / 2 / 3 / or 4 forks. 700 x 90 mm wooden baseboard mounted on four feet. Two spring balances 50 N with hooks are provided at one end. At the other end are two wrestpins. Supplied with three bridges, two steel wires and one wrest-pin key. Comprises robust power supply, legs with levelling screws. Legs, other supporting rods and stroboscope made of Aluminium. Moulded detachable ripple tank tray. series of metal rods on revolving the handle, transverse waves are obtained with bent. Straight rods on wooden box. Flat section tempered steel wire in helical coil, about 3 cm dia x 12 cm length closed size. Extended 5 meters. set of 8 in box. 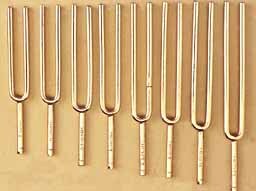 Pair of nickel plated tuning forks A (426.6). One fitted with sliding weight fitted on resonance box. 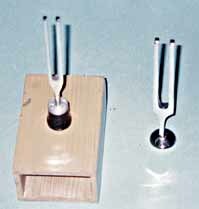 The other plain tuning fork also fitted on individual resonance box. Complete with hammer. Overall height 430 mm, for use in vertical or horizontal position , fitted with hand wheel and wire helix belt drive to pulley with adaptor supplied and accept colour disc.